Studying in an American private boarding school, I get asked about Chinese culture often. Out of China’s 5000-years’ political and military struggle, two Chinese people seem to stand out from the rest in terms of international recognition: Chairman Mao and General Tso. “Is Panda Express authentic Chinese food?” “Not really.” “Then P. F. Chang must be?” “Leave me alone.” These questions are hilariously annoying, but they reflect an intriguing phenomenon. At any place in any country, food is a common language. Caesar is translated into hundreds of languages all around the globe, but anywhere, “Caesar” salad only has one recipe. This integration of distinct customs crosses geographical and linguistic barriers, and I refer to it as the foodie culture. To make the most out of my high school experience, I joined the Culinary Arts Club. On our monthly trips, my foodie friends and I learned about cuisine from food production to standards of appreciation. We experienced ancient Greece through gyro and pita, Jewish culture via lox bagels, and Rhode Island domestic life at Chefs Collaborative, a local food festival. No matter where we go, every member assumed the highest interest even if the food was not related to his own country. Just like everyone else, I am simply an enthusiast that craves savor. In our club, people from all places share the same enjoyment. This joint experience unites us by eliminating our cultural differences. The foodie culture extends far beyond a club setting. Whenever we order pizza late at night or grill barbecue on Sunday, we take share in this inclusive culture. Foodie culture denies no one the right to participate on account of gender, race or belief. It is a utopia with equal opportunities for everyone. I wished I had not missed the deadline of application to Culinary Art Club last year, because I am really intrigued to try all kinds of dishes, whether new or foreign. I followed a lot of social media pages recommending delicious meals or desserts. My friends got tired of me trying trendy restaurants and asked me to stick with “regular” food. But my passion for food never reduces, and I always recommend restaurants to others with different comments. During the summer, I just learned how to cook from a tutorial, and I was so surprised that I did not set the kitchen on fire. In fact, the braised pork I cooked got compliments from my parents who did not believe I was able to cook at all. Besides eating food, I am also interested in making food as well as writing feedback about my experience. I really look forward to joining culinary art club! Food has been very interesting to me since a very young age, whether it was watching chefs create amazing meals on TV or trying to make my own recipes. I especially love making maple apple pies, which have now became a favorite of my family. When making food or eating food, you get to momentarily forget about all the stressful parts of life and focus on either preparing the dish or tasting all a dish has to offer. My family has always loved food, so much so that a lot of the activities my mother and I do are food-centric. Every Wednesday of the summer, we are intensely watching “Masterchef,” curious to see what crazy, but amazing, invention someone creates next. Whenever we go on trips, the first thing we think of is restaurants we want to visit while we are there, and we often run out of time to visit all of them. Food also helps to reconnect my family when we are separated. My sister lives in Colorado and my mother sometimes sends her the candied sweet potatoes that she always makes for Thanksgiving. I think the reason that food is so appealing to me is that it is not only an art, but it is an art that you can both see and taste. Another thing that makes food so interesting, is that cooking and baking are very precise and take lots of calculations, which my brain has always been drawn to. I haven’t been able to try more adventurous kinds of dishes so I would like to join Culinary Arts Club because I would like to be able to see first-hand and try a variety of beautiful dishes! Coming from an Italian family, the passion for food is innately in my blood. Every family gathering, no matter what occasion, is centered around the meal. Appetizers are always in abundance because we practically eat a dinner-size serving of buffalo chicken dip and guacamole before the remaining two courses even make an appearance. The main entrée is thoroughly enjoyed even though our pants are literally cutting off our circulation. Grandma is never satisfied until every crumb has been eaten. Then yes, we insist on continuing to stuff ourselves full of delicious desserts. I usually go lighter on the dinner portion in order to save room and try every dessert on the table. I am more than willing to try new things, even if I think I won’t like them. Culinary Arts Club would be the perfect way to try new foods and introduce them into my family. “First we eat, then we do everything else.” MFK Fisher. I want to join the club because I believe cooking is a practice of art whose product, food, serves a practical purpose. Just like my attitude towards visual art, although I’m very bad at drawing and painting, I am willing to learn, and more importantly to appreciate, art works by others. Although I cannot cook, I would love to learn and eat. I’m not an expert on food (yet), but one thing I do know as an international student is how different and complex is the food culture around the world. Often times, food is the topic that connects us. I would love to explore more exotic food cultures. Food has been a part of my life ever since I was a child. From burning Betty Crocker brownies to learning how to make my favorite dish from my grandmother, food has connected me to the world around me whether that be the cuisine of the country I’m in or trying recipes passed down from generation to generation. I used to see food solely for its purpose in sustenance and survival. This all changed one Chinese New Year when an 11-year-old me suddenly became feverish and sick. Though I still got to see my family and go through with all the typical festivities, the amazing dishes laid out across the table suddenly all tasted bland. Nothing felt as it should and I entered a state of confusion in which I knew I should be enjoying the rare and amazing dishes yet, my tongue barely tasted anything. That experience led me to truly appreciate food wherever and whenever I can. I am fortunate enough to be able to travel to various countries and experience their cuisine. To me, this is one of the biggest aspects of traveling as in understanding a culture’s food is a beautiful experience to share with the world. This is why I would be grateful to be given the chance to explore the various unique and distinct restaurants and food festivals in the Rhode Island region, seeing as though my time here may be coming to an end shortly. My two years here at the Abbey has already been filled with great memories, however, I wish to truly enhance my experience here by joining the culinary arts club as it will commemorate my time here in the best way possible: through good food. Additionally, attached to this email is a project I completed as part of a Food Technology course in my previous school. This work was completed in my freshman year (or Form III). Though my writing skills have improved since then, this portfolio is a good reference to my previous experience with food development, research and creating. Food always inspires me by reminding me the beauty and splendor of our existence. It is not merely a means to satisfy my physical need, but a medium for me to experience my existence. When I was a kid, my favorite weekend activity was going to different restaurants with my dad every week. Grown up in a big city, I had a lot of options to choose every week, ranging from the freshly made dim sum to delicate French cuisine. The memories of those moments never faded. Yet sadly, I do not have many options at Abbey, confining myself to daily struggles at Stillman. This year, as a senior, I want to enjoy my life a little bit more, while resuming my search for the meaning of my existence. The Culinary Art Club gives me such an opportunity. Perhaps this year, as an aspiring member of the Culinary Art Club, I can rediscover the childhood excitement and enjoyment I experienced with my dad every weekend. All animal life requires food of some sort for both sustenance and growth. Even as a biological necessity, food takes on an enormously influential role in human culture and society compared with other equally important needs. For example, people seldom even notice the water that they drink unless it poisons them, yet a minor change in the dining hall’s menu sends visible ripples of delight or despair through the Abbey community. Far from simple nutrient intake, the Culinary Arts allow for human expression through flavor, smell, and presentation. Perhaps more so than any other art form, cooking can simultaneously satisfy the most primal and refined desires. As the subject of experimentation, paintings, literature, and daydreams throughout history, I have come to believe that someone who enjoys partaking in the Culinary Arts as much as I do should learn a little more about the subject, and so I would love to be a part of the club’s membership this year. I am writing you to confirm my interest in joining the Culinary Club. I am aware that you have visited with my dad in the past, and seeing the joy he found in teaching to students at the Abbey, I would love to also be a part of such a wonderful experience. I grew up in the restaurant business and believe that food will always have a piece of my heart. I feel that being a part of the Culinary Arts Club would open my eyes to even more as far as the restaurant community. I love trying new things and meeting new people, and hopefully this will be an opportunity to do so! Cooking has always been an integral part of my life. My mother loves to cook, my dad loves to eat, and my siblings fall somewhere between the two. If my family hosts guests, while my siblings and dad are mingling, I’m always in the kitchen with my mom. I love to learn from her, and particularly for one reason: due to a number of allergies, rather than tasting what she cooks, she adjusts her recipe primarily through scent. I have a slightly restricted diet as well, which has only encouraged my interest in recipes, food, and cooking. I love to explore what can be done with extra ingredients, or without specific ones. Additionally, I want to study nutrition. I believe our interactions with food are fascinating. What can proper fuel do for you? What can we do, as chefs, artists, and explorers, to create something amazing out of this fuel? To be clear, I don’t expect the club to revolve around the nutritional value of what we explore. This does not diminish my interest, however! I don’t believe eating well should be burdensome. I believe that it can be exciting and engaging, and for me, learning to engage with food in a new way, or how to prepare anything at all is a step in the right direction. And of course, I need to be able to top my mom some day! I’d like to be a part of this club because not only do I love eating, but I also love the familiarity of both cooking and trying new foods. On family vacations, my father and I always try to outdo each other for eating the most daring dish on the trip. I remember a few years back in Ecuador, we even tried guinea pig, a mixture between chicken and pork, slightly barbecue-y– slightly heartless of us I know, believe me the guinea pig weighed on my conscience for months after. In Peru, we both ate alpaca, but this was mostly because we were really craving meat and they really didn’t have any cow beef to our chagrin. I believe myself as an aspiring connoisseur for food, which I believe this club will help me with. From my mom I have learned how to make a few dishes, but boarding school has led me to a lack of any true variety in my limited culinary skills. In this club I’d like to change that. I’d like to develop both better cooking skills as well as a higher developed palate. I extremely hope that you allow me to be part of this club. In my family, we all enjoy cooking; my Dad cooks for us almost every Wednesday, and my Mom even owns a restaurant. As for me, I can honestly say it is by far one of my favorite pastimes. My small composition hides my love for food; every time that I am angry, sad, stressed, annoyed my solution will always be to eat. It would be such a great and fun experience if I could form part of the Culinary Arts Club for my love of food. I would very much like to be a part of the Culinary Arts Club this year! My household has always been one of foodies. I’ve been raised eating lots of classic Italian cuisine and indulging in all sorts of desserts. As a child, I did tend to stick more to the basics of pasta and pizza, but as I’ve gotten older, I’ve learned to appreciate more foods and the intricacies in the methods that go into making them. Of course I’ll always have a soft spot for a greasy slice of pizza, but as I’ve been more and more adventurous in my dish tasting, I’ve gained a deeper respect into the world of food. It used to just be something I ate if I was bored or in the mood to pig out. Now I consider (good) food as a combination of ingredients and flavors masterfully put together to create one cohesive experience. For me, food brings comfort and excitement, whether it be a dinner of chicken fingers and Ben & Jerry’s or a trip to Smith and Wollensky for some of the best steak a person can consume. Make money, cook food, and smoke cigarettes; my co-workers seem to have life figured out. Well… not so much. The restaurant business is relentless to say the least, and those who enter tend to stay, earning promotions whilst learning an artform only years of hard work can perfect. No, I do not plan on staying for the rest of my existence, but I sure as hell have both loved and hated my 3 years at the Pilot House Restaurant. Working alongside 48-year-veteran chef Scotty, who has hopped between restaurants across the country for his entire career, definitely isn’t the worst possible thing for my taste in fine cuisine. Chef Scotty and kitchen manager Rob have taken me under their care and showed me what it means to be a cook at a restaurant which serves at peak 900 tables in a single night. I have developed a love of simply observing their ways around creating exquisite dishes. Cooking can be quite dreadful when falling behind on orders, or when a dish doesn’t quite taste the way it’s supposed to, but the life of a cook can also be rewarding. Understanding good food, meeting new people, and making money makes my time in the kitchen worth while. Joining the Culinary Club here at the Abbey would allow me to share my past experiences with food and also build upon those experiences. My family is one that places great value on, and appreciates, good food. Every night my Dad, my Mum and I would cook a big dinner for our family of eight. Despite this large number of mouths to feed, it is highly rare that we would take the easy route and order pizza or make something generic such as mac and cheese. Every time we make a meal (dinner during the week, breakfast, lunch and dinner on the weekends) we change the recipe ever so slightly to experiment with different flavors. My island, Trinidad, consists of an incredibly diverse range of people from all around the world, their cultures, spices and food included. Because of this I am a very adventurous eater and will try and thoroughly enjoy anything. From Indian food to Chinese food (not the fast food one typically gets but real food) to our local dishes and almost every other type of food you can imagine, we have it and love it. I also have an affinity for baking, something I believe I received from my great grandmother who baked cakes for all of Trinidad. My Dad and I have been working on an amazing apple pie recipe from scratch, and recently I have taken over and people tell me mine is better than his was. Scarlet Shin ’18 – Food has been the basic road for my life. I have always followed its road, its pathway to lead out my life. My family always forms a conversation starting with decisions on menu. Then we can easily flow to other topics including ingredients that are used in each dish, then following with “how was your day?” This might be the main reason that my family is always getting together and supporting each other. Because in my family and in my life food was a huge part, I cannot explain about me without saying something about food. My grandparents and even my friends always tell me when they see me eating, and it invokes their appetite. With a satisfied face and big smile after I have a bite from a good dish, that always makes people to come over and yearn for one bite of that dish. I truly enjoy the act of eating. Not only eating, but also cooking is the main part of food that I always consider. I believe that knowing where this food comes from is the basic start to understanding and fully enjoying the dish. Appreciating the efforts that are put in one single dish, I would sincerely enjoy the food. I would love to catch this opportunity at the Abbey to show my enjoyment and passion of eating through this dreamy club, Culinary Arts Club. 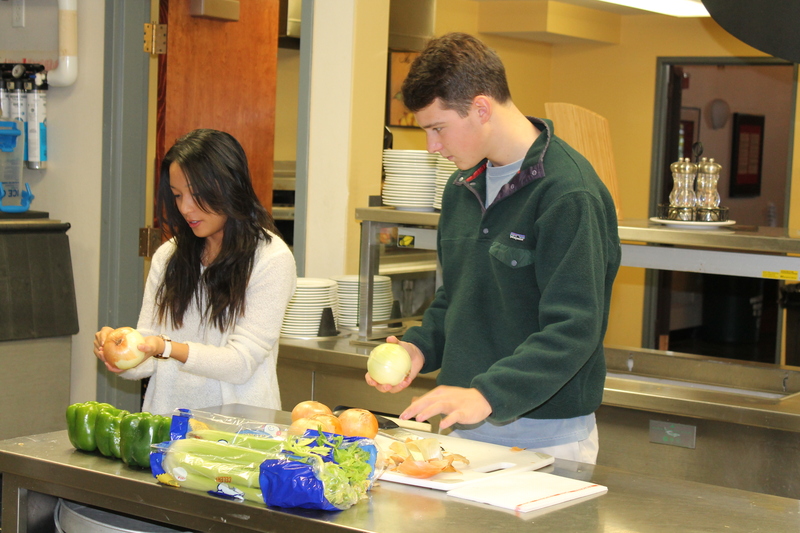 Ella Souvannavong ’18 – I would really like to join the Culinary Arts Club this year. I’ve been interested in cooking and baking since I was really young. In my family, I’m depended upon for making good desserts. Partly because Lillie has made chocolate cookies that ended up only tasting like salt, but also because I really love to make and eat new things. I really appreciate the culinary arts because I’ve had a lot of experience in making mistakes while making food. But however hard it gets, even if I’ve been standing at the oven so long my feet hurt and the food doesn’t even end up edible, I still want to do it. I think this feeling connects me to a lot of chefs and food workers. I also appreciate the culture of culinary arts. My stepdad is Chinese and my dad is Laotian, so I’ve had a lot of these cuisines, even if it had to be forced on me by relatives who insisted we finish everything. While this sometimes ended up in discretely spitting out tentacles, it also showed me how diverse and interesting food can be. I would really love the opportunity to continue to explore food culture and be inspired to make new things! Spencer Kelleher ’18 – I would love to join the Culinary Arts Club for my senior year! I am fully committed and willing to meet this commitment, whether it be carpooling on Sundays to convenience other day students or coming in early. My expertise in food derives from my 17 years of extensive love for calories. Growing up around my grandmother from Seoul, Korea, I have fostered an admiration for food and its cultural influence. Sitting around the table with my cousins from Korea, despite our language differences, we could fully enjoy each other’s company with the help of Kimchi and dumplings. Truly, I feel that eating foods from different origins allows you an insight into a culture that is simply unique. Also, an interest of mine is learning how to cook. As I will be going to college soon, I won’t be able to have my mother’s home cooked meals anymore, and I will have to learn how to depend on myself for food, and I think that the Culinary Arts Club would be a great way for me to learn. Overall, I am super excited for this opportunity and hope that I can experience different foods and cultures with my peers. Peter Liu ‘19 – Two years ago, I applied for the Culinary Arts Club as a freshman and attended one of the meetings. And that gave me authentic insight as to what this club is and whether I would like it or not. While I am also in several other school clubs, culinary club most definitely surprises me with its expertise. It had offered us a top-notch gourmet experience, which usually only professionals could have. The sufficient funding of the club enables the club to conduct multiple events every term, which shall free the students from their busy academic life. As I deeply enjoy the act of eating, I am certain that its appreciation will be something I value also. Besides, I am from outside the US; as a result, I assume that I can render a unique palate to the club. Katherine Wang ’18 – I am thrilled and prepared to join the Culinary Arts Club. Growing up in three different places around the world–Beijing, Hong Kong, and California–I had the rich experience of different kinds of food since a little kid. My favorite among all food is desserts. During the summer, I had opportunity to work at a dessert shop at Manhattan, seeing the cake decorators at the shop carefully embellish the cakes; drawing flowers on the surface of the cake made me realize that the food can also be pleasing to the eyes besides pleasing to our stomachs. On my last day of work, I was able to serve food with our shop for a music festival; getting positive feedback from the guests about our food was impressively satisfying. My experience working at the shop was definitely the highlight of my summer vacation. Of all the events the club attended, The Empty Bowls event especially interests me. I was granted the Haney Fellowship and went to Cambodia during July; upon my arrival, one of our local guides told me that they are having a project where all the volunteers donate bowls they get from the local old markets and all the kids in the school will use them for meals. I thought it similar to the fundraising at Empty Bowls and thought food can genuinely pass on love to people. Every year, I have my friends from the Culinary Arts Club telling me about the exciting experiences they had at the Newport’s historical food tour, and learning skills about cooking, and great food at Tom’s BaoBao and the cheese tasting event. I have wished to be part of the Culinary Art Club since freshman year, and I think my experience about cooking and my passion towards food will fit well with this wonderful group. 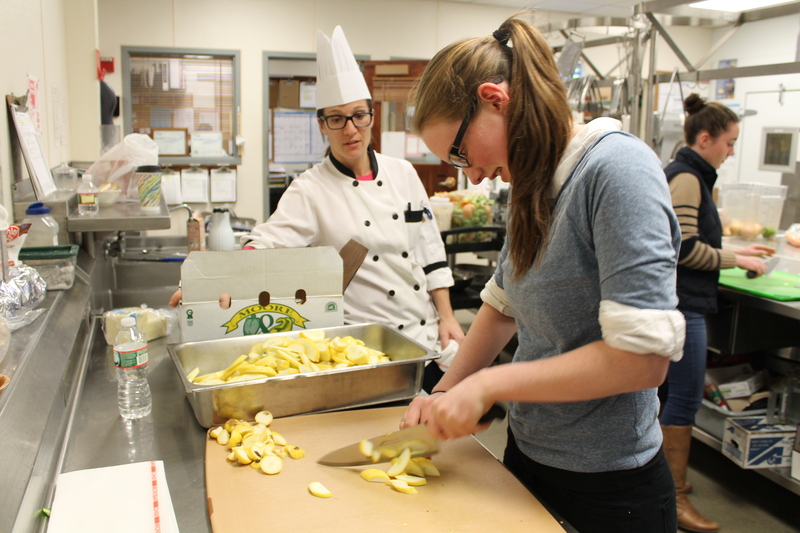 Megan Madden ’18 – Though I never thought I would say it, I would like to join the Culinary Arts Club this year. As you may or may not remember from the fried rice story I read at the end of last year, I have always been a very picky eater. I told of my first time eating fried rice, forced to by my mother on my 13th birthday. This past summer, I was blessed to spend a week in the south of France with some family friends. Throughout the trip I had shunned the “exotic” cheeses and strange looking pastries, sticking to the familiar baguettes and butter (which was amazing in itself). On the last day, we ate at a restaurant on the beach, which had also exclusively served exotic seafood (mostly shellfish) dishes. I was deeply upset because my love of seafood extended to fish and chips or the occasional swordfish. Yet, I was a guest and resigned myself to ordering some tellin clams in broth. The other people at the table ordered ginger mussels, oysters, ceviche, and whole octopus tentacles. After one bite, I was in love with the salty little clams and immediately tried and loved everyone else’s food. Finding that it was all delicious (I stole at least two bites of each dish), I decided to officially become adventurous. Through August, my options were limited as I remained entirely in my house unpacking boxes, though I had one sushi adventure at Turks in Mattapoisett, MA. (If you haven’t been you should definitely try it.) Now as I have returned to the Abbey (broke), throwing cereal or dressing on my salad is all the adventure I can find. Until I remembered that the Culinary Arts Club was built for such wonderful pursuits as this. India Roemlein ‘19 – I would really like to be a part of the Culinary Arts Club because of my love for baking and cooking. I have always loved baking pastries and cakes for family and friends for events or just whenever because it’s fun, and everyone enjoys it. Joining the club will offer a creative outlet I have not had before, and will help me gain a learning experience (such as when you put too much baking soda into a cake). Though cooking is only what I have ‘dabbled in,’ it is a very enjoyable experience. I love experimenting with cooking and baking, and it is especially a stress reliever on Sunday after a hard week at school. Becoming a good chef is something that I want to be, and I am thinking about studying culinary arts in college (a possibility). Being in the Culinary Arts Club would be a dream to me, so thank you! 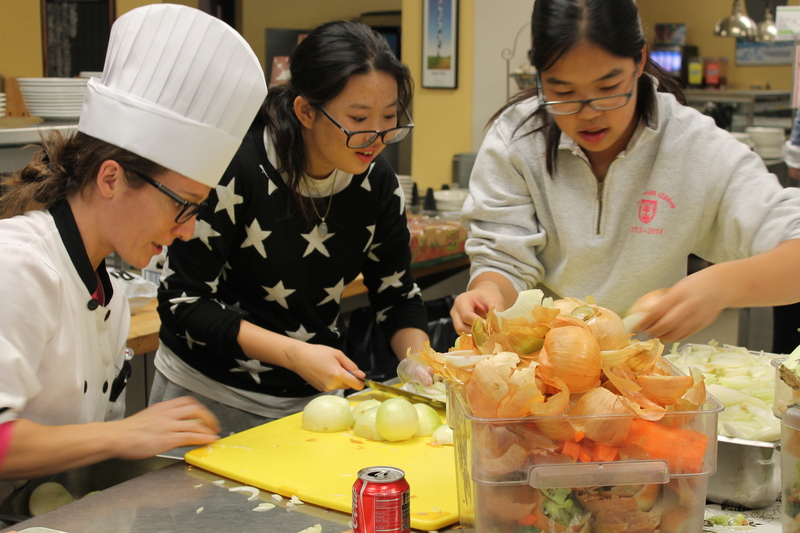 Elaine Jiang ’18 – I would love to join the Culinary Arts Club this year! I am super enthusiastic about food– both learning how to cook and tasting amazing dishes all around the world. Having applied in my freshman year, I was totally not prepared at that time because I did not even know how to hold a pan properly. In sophomore year I was forced to learn how to make a fried egg on my own since nobody was at home to feed me. Since then, I started to love cooking. I would always go online to search for recipes, especially for dessert– I really do have sweet tooth. Also, as a Chinese student, I love the famous 8 Cuisines in China. Among them, my favorite is Beijing dishes. Therefore, I learned how to make Jia Jiang Mian– a kind of noodle with fried sauce– with my grandparents in China and prepared the dish for the whole school last year during International Food Night. Although it was not as pleasant looking as the Jia Jiang Mian that my grandparents made, I just wanted to share my love of my home cuisine with everybody at the school. Also, as a fan of all sorts of adventures, I would always love to go to different places for different kind of food. For example, this summer I stayed in Italy for two months and made my bucket list of eating all flavors of gelato and all sorts of pasta. Though I realized that it was impossible unless I gorged myself, I still had a lot of amazing Italian dishes. My favorite pasta is the classic carbonara, and I am not a fan of pici. Later in the summer, I went to Nepal and stayed in a nunnery for two weeks. I almost became a vegetarian after two weeks of no meat in the Buddhist nunnery. What was different from the experience I had before in a Chinese temple was the Nepali specialty food. They ate everything on a silver plate with their hands– which I thought was extremely unsanitary but still gave it a try. I loved the curry sauce with rice and cauliflower. Because the nunnery is in a mountain, they had chili sauce– different kinds of chili sauce– everyday, so that people can keep warm after they ate the spicy sauces. I love to go to different places and eat different kinds of food. Last year, my friends in Culinary Art club told me about their experience of going to Jamestown Fish, Bao Bao(my favorite), Johnson&Wales University, and Portugalia Marketplace, and I really want to get myself involved. Because I believe I have some experience with food and am enthusiastic to learn more about food, I would really love to be part of the Culinary Arts Club. Dan Sliney ’18 – I am very interested in joining the Culinary Arts Club because of my growing love for food. This summer, I watched many cooking videos and suddenly wanted to learn how to cook myself. I not only think it is essential to learn to cook but to enjoy all that the culinary world has to offer. Food defines culture all around the world, and by exposing myself to new menus and dining, I can appreciate what the club offers to the Abbey upperclassmen. Coming from a family that cooks very little (my mother and father), I would love to impress them with new ideas for dinners as well as cook for them more as well. I hope to become a part of the Culinary Club this year with you and Mr. Calisto. 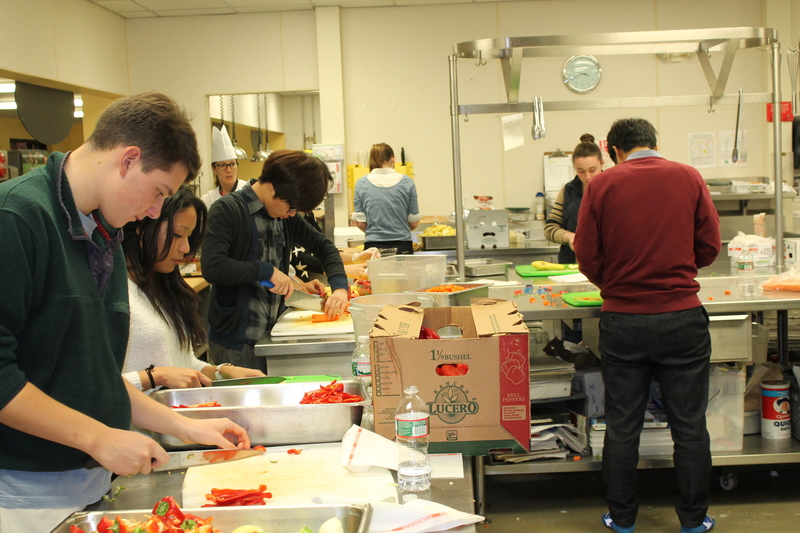 Samuel Ding ’18 – I would love to join this year’s Culinary Arts Club. As an international student and a lover of food, I have always had a passion for good foreign food that represents its local culture. Three years ago, due to my extreme interest in the diverse culture in America, I decided to enroll in an American high school. Unfortunately, due to the absence of my parents and lack of transportation, I’ve never had a chance to really explore this diverse culinary world in New England. By granting me a chance to join the club, I will finally get to explore this fantastic culture through my tastebuds and open my eyesight. Overall, I believe I can add great value to the team. Tommy Teravainen ’18 – As a master of procrastination, I have decided to begin my application with fifteen minutes to spare, so time to wow you. Two years ago, I took a job as a prep cook at Momo’s Food Emporium in my hometown of Sandwich, Massachusetts. Momo’s was a café/prepared food eatery/sandwich shop/artisanal food emporium, as well as a showcase for the paintings and works of local artists. The menu included anything from spanikopita (a spinach and feta pie) to the traditional turkey club sandwich. My summer spent working at Momo’s taught me how to make a wide variety of foods. Yes, a 15-year-old boy can thoroughly enjoy making quiche lorraine and Portabella stuffed mushrooms. In late August, the owner told us the restaurant would be closing after seven years of being the spot in East Sandwich to grab a bite to eat. As a matter of fact, Momo’s won best sandwich in Sandwich in its prime. That summer inspired me with a love for cooking. I had already possessed a prior love for food, and I hope that my knowledge can be enriched in the Culinary Arts Club. Alex Sienkiewicz ’18 – There are many reasons why I wish to join the Culinary Arts Club. While I was growing up, my grandmother would make food daily, whether it be spaghetti and meatballs, or her famous fried chicken; regardless, I never went hungry while she was around. Although I mostly ate Italian food, and the occasional Portuguese food, I was always open to something my grandmother would be making. As I get older, I am more willing to try new foods, and a perfect way to do that would be through the Culinary Arts Club. Although it might not be my grandmother’s cooking, and might not always be Italian food, I am open to exploring different foods from many different people. I would love to be able to expand my taste of food to things beyond my comfort zone, and this would be the perfect way to do so. Maya Wilson ‘17 – Growing up in a Latin home has its perks. Even though my mom is Dominican, she never learned to cook a single dish, and to this day, I know she regrets it. Instead, my childhood years were filled with Abuelo and Abuela’s special recipes—anywhere from your standard tostones (fried plantains) and salami, to fully blown Dominican feasts, including La Bandera (a combination of rice, beans and meat), sancocho (a mixed-meat and vegetable stew), arepitas (fried yuca), and Ensalada de Repollo (cabbage salad). My fondest memories of home have always included some sort of experience with cooking, whether it was standing on a stool as my dad taught me to bake cookies or observing as my Abuela danced her way around the kitchen, filling the entire house with pungent spices. I think it’s worth mentioning that my entire family has quite an appetite for anything starting with “F” and ending in “OOD,” so I’d never turn down an opportunity to try something new. Johanna Appleton ‘17 – To be honest, I don’t know much about preparing food, but I sure know a lot about eating it! 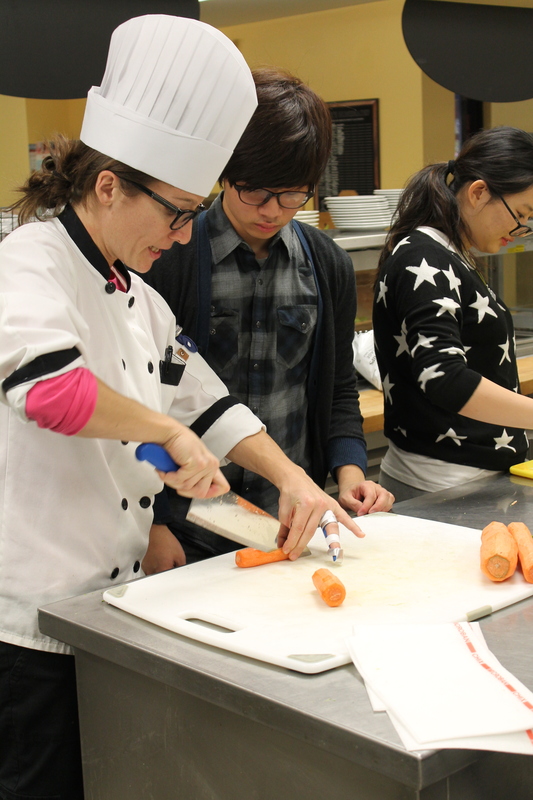 I want to join Culinary Arts Club because I find that food brings people together. When people sit down for a meal, they don’t just enjoy the food, they enjoy each other’s company. When family members send a care package, they send their love along with the brownies. Every Tuesday advisory meeting, I don’t just look forward to baked goods; I look forward to the companionable time my advisory spends eating them. As of right now, I am admittedly hopeless in the kitchen. However, I really want to learn more about the culinary arts, and to share that experience with others. I hope that by preparing food, I can someday make other people as happy as I am when eating food prepared for me. Tommy Teravainen ‘18 – Two years ago, I took a job as a prep cook at Momo’s Food Emporium in my hometown of Sandwich, Massachusetts. Momo’s was a café/prepared food eatery/sandwich shop/artisanal food emporium, which also showcased the paintings and works of local artists. The menu included anything from spanikopita (a spinach and feta pie) to the traditional turkey club sandwich. My summer spent working at Momo’s taught me how to make a wide variety of foods. Yes, a 15-year-old boy can thoroughly enjoy making quiche lorraine and portabella-stuffed mushrooms. In late August, the owner told us the restaurant would be closing after seven years of being the spot in East Sandwich to grab a bite to eat. As a matter of fact, Momo’s won best sandwich in Sandwich in its prime. That summer inspired me with a love for cooking, and added to my love for food. Diane Greg-Uanseru ‘17 – Cooking has been a serious passion of mine since I was very young. I would very much enjoy learning how to cook diverse and delicious dishes from different cultures. Having the chance to learn and cook with professionals is an intriguing opportunity I would love to be a part of! I have always had an interest in the art of cooking since I was a little girl. The only foods I have come to know well are Nigerian and English, and I would like to expand my knowledge of the diverse variety of foods. I would rate myself as a mediocre cook, and I believe through the Culinary Arts Club, I would be able to increase my skill level. Also, I love trying new things, especially food. Amber Liao ‘17 – Growing up in the historical city of Xi’an, China, I always introduce my hometown with, “You know, the place with the terra-cotta warriors and the amazing food?” Behold: crumbled flatbread in mutton stew, glutinous rice and date cake, hand-stretched noodles, juicy pork in a steamed bread sandwich… Strolling down the famous Muslim quarter and immersed in the twilight old bell chimes, I feel blessed, amidst the gourmet food. Now, why am I passionate about food? Well, it arouses nostalgia. It constitutes part of my identity. Food brings joy. Quality food brings about an excess of it to the palate, but more so to the mind. I love eating, and I genuinely want to learn cooking; the latter allows me to return the favor and bring joy back into the world. I would love for a chance to learn more about western cuisine and interact with chefs, so with an opportunity provided, I would be more than willing to devote my time into it. Ana Dwyer ‘17 – I really enjoy food and love trying new foods. During the summer I tried different restaurants all over Aquidneck Island and was so fascinated by what different types of food were offered. I also love cooking and baking in my kitchen. Whenever I have time during breaks or weekends, I try to make a nice dish for dinner inspired by a meal I had at a restaurant. There are many foods I have still yet to try and enjoy; Culinary Club would be awesome for showing me new foods, and it would be so exciting to write about. Sungwon Kim ‘18 – I like eating. I also enjoy cooking some Korean food. I want to see how various foods are made from scratch. I don’t have any passionate experience that I could write as a “thoughtful response” (in applying for the club), but I hope by joining the club, I will gain some. Oliver Ferry ‘17 – Food is the communion of Science and Art. Every cook needs to understand the chemistry of how certain foods interact with the taste buds. However, a great cook is able to combine tastes in new ways and appealingly present them. Applying these two disparate streams of thought, analytics and creativity, makes truly good food such an exhilarating experience. Having lived across the globe, I have had the privilege to develop a broad understanding of food. In Hong Kong, my palate adapted to the spice of Szechuan food. In Tokyo, I acquired the taste of wasabi and sea urchin. In Singapore, I learnt how to stomach durian without holding my nose. These experiences have taught me to give the benefit of doubt to and always at least try a new food. When I lived in Fairfield, CT., I became involved in my local church’s Food Ministry, which taught healthy and cheap cooking to inner-city people in Bridgeport. This was my first exposure to cooking, and I was amazed at the tastes that could be achieved with simple ingredients and care. Food and cooking have always been important to me, and through the Culinary Arts Club I believe I can cultivate this passion at the Abbey. Jennifer Park ‘17 – During this summer while I was taking a class at NYU, I had quite an amazing experience enjoying the moments of eating together with new friends I met there. The beginning was rather spontaneous: I asked my roommate from Italy to try a Japanese takoyaki place for lunch. The next day, our gastronomic tour in New York City began, which soon spread to our dorm, where we welcomed six more friends who were also ready to dive in the world of New York City’s culinary arts. Seven of us–whether from China, Italy, Philippines, or from East and West Coast of the US– fully took advantage of our intrinsic curiosity towards the culinary arts and international cultures. We all shared opinions, first about the food, but then further about our own culture and future. This wonderful experience not only reminded me of my incessant enthusiasm in culinary arts, but also encouraged me to continue my journey through PAS’s Culinary Arts Club. Virgina Wolf once said “One cannot think well, love well, sleep well, if one has not dined well.” I have already learned the significant value of eating together. More meaningfully, a significant part of cooking together is connecting with others, too. It is with this belief and aspiration that I am sincerely hoping to join the Culinary Arts Club. Arthur Shipman ‘18 – From the age of about thirteen, I have been helping in the kitchen in my home, doing everything from prep work to sautéing to grill work, and I feel I am at or above the experience level of anyone in the club. However, I realize that there are many things I don’t know about how to cook and present food, and this club will introduce me to those techniques I haven’t yet been exposed to. I have expressed an interest in this club last year, and I also competed in the Iron Chef Competition between dorms. Henry Wilson ‘18 – I would love to join the Culinary Arts Club because food has been a passion of mine for as long as I can remember. Ever since I first heard of the Culinary Arts Club my freshman year, I have wanted in. Even though I have grown a lot as a person between then and now, my love of food has remained constant, and joining the club is still a goal of mine. I actually do find these arts therapeutic in a way. In fact, one of my favorite pastimes —and forms of procrastination— is watching videos related to the culinary arts on a youtube channel called “Eater.” Learning about the wonders of Kobe beef, being amazed by the tediousness of a Michelin-starred restaurant, or simply drooling all over my keyboard while watching people try exquisite foods are unusual ways in which I find a break from the stress of homework and daily life. I want to share my love for food with other people and learn more about these arts which I have come to enjoy so much. Max Bogan ’16 – I used to be a really picky eater, so now I like to try to expand my taste-palette. The blog showed a lot of really interesting looking foods, and everybody seemed to be having fun trying them. I also have kind of a competitive motive, because when I was little I was such a terrible cook that, after accidentally putting two cups of sugar into her popovers and a few tablespoons of salt into her cupcakes, my older sister refused to let me help her make food. I’ve gotten much better since then, but I still love cooking and baking and hope to pick up some new recipes. Culinary club looks like a great time to be around fellow food fans and try new food experiences! Grace Gibbons ’17—“I come from a family of very experienced cooks and would like to learn how to cook myself. However, I want to learn how to cook through the school as I don’t have enough time to be taught by my mom or grandfather. As much as I love eating food, I would love to learn how to truly appreciate a meal in terms of everything that goes into the process of preparing the meal.